Soft Cover, 304 pages, 6x9. Chris White earned his doctorate from the University of California and founded White Labs Inc. in San Diego in 1995. The company's focus is liquid yeast cultures for homebrewers and professional brewers. Internationally respected homebrewer Jamil Zainasheff co-authored Brewing Classic Styles with John Palmer. Jamil shares his passion and brewing prowess with homebrewers internationally, hosting podcasts on The Brewing Network. From the foreword: "...loads of sound information and techniques that will work for brewers at all levels, from beginning homebrewers to production brewers at any sized brewery. 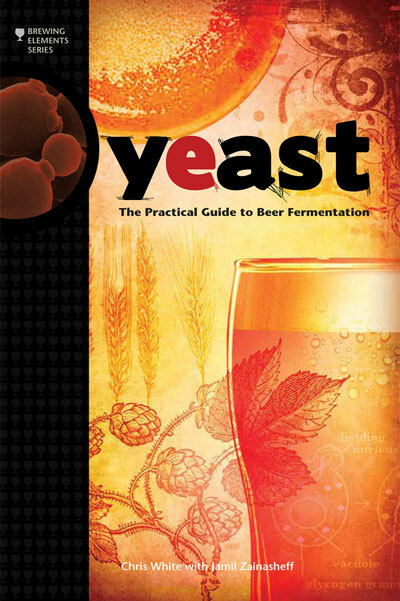 Included are fantastic tips for working with all kinds of yeast strains and beer styles, introducing new strains, and how to use best brewing and lab practices to keep your yeast healthy and your beer tasting great."